The 23-year-old Spaniard headed from a 4th place finish at The Masters to play in front of home support at the Centro Nacional de Golf, a decision he said he made with the sole focus of winning the tournament. 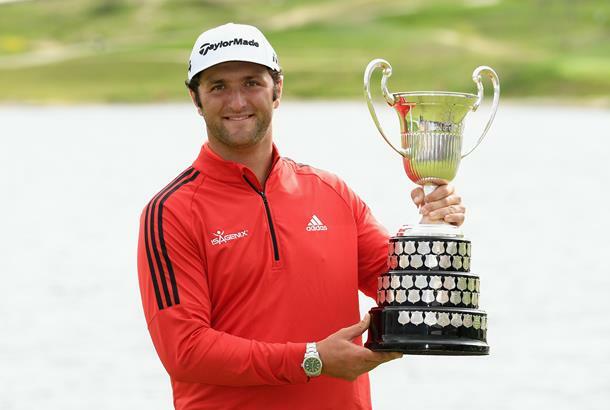 Rahm, who has become the sixth Spaniard to win their home tournament, carded a closing 67 to get to 20 under par and finish two shots ahead of over overnight leader Paul Dunne, and three shots clear of compatriot Nacho Elvira. The World No.4 has now had three European Tour victories in just 19 starts, making him the third fastest player to reach that mark. "I've been blessed to be national champion from 16 to all ages in Spain. To round my amateur and pro career together in this way and win the last one I had to win and join that prestigious list of Spanish winners, it's hard to explain how good it feels and how satisfying it is. "It's been amazing. It's truly been the hardest Sunday I've ever had in any tournament that I've won because the crowd wanted it so much and I wanted it so much. You can tell how excited everybody is, I felt that tension, I felt that stress, I felt everything magnified. They payed a huge part, I came for them mainly so I'm just glad I can win this one for the Spanish people." Rahm began the day two shots behind Dunne after rounds of 67-68-66, but got off to a fast start on Sunday with back-to-back birdies on his opening two holes. A further birdie and bogey saw him make the turn in 34, before he posted birdies on the 10th, 13th and 18th holes to secure his place at the top of the leaderboard. He joins Antonio Garrido, Seve Ballesteros, Sergio Garcia, Alvaro Quiros and Miguel Ángel Jiménez as winners of the event, which has been a staple on the European Tour since 1972.